Granite Dude have been installing granite countertops in Phoenix homes for several years. 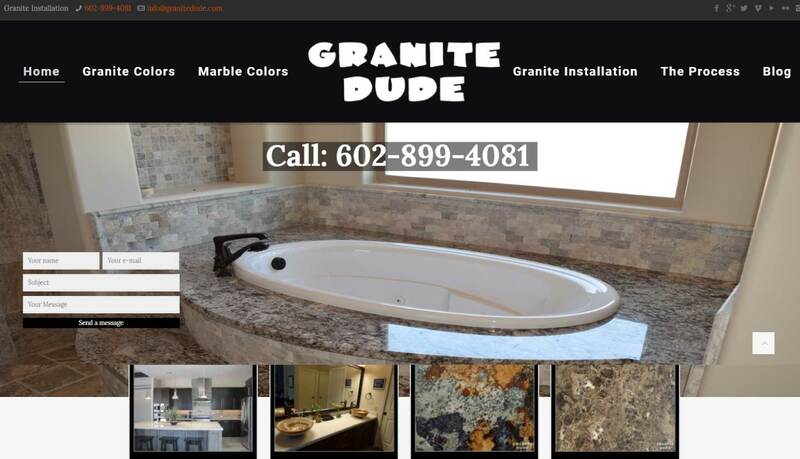 As the number one granite expert in all of Arizona, Granite Dude offers the best prices on all stones. Granite Countertops can truly take an ordinary home and make it amazing. As one of the first items the potential home buyer looks at immediately, granite countertops for kitchens, bathrooms, or any room in the house promote the look and feel of true luxury living as an experience. Available in a wide variety colors, sizes, and patterns to fit your personal style and taste. Granite Dude specializes in paring each of their customers with the perfect granite countertop to suit their lifestyle and personal preference. 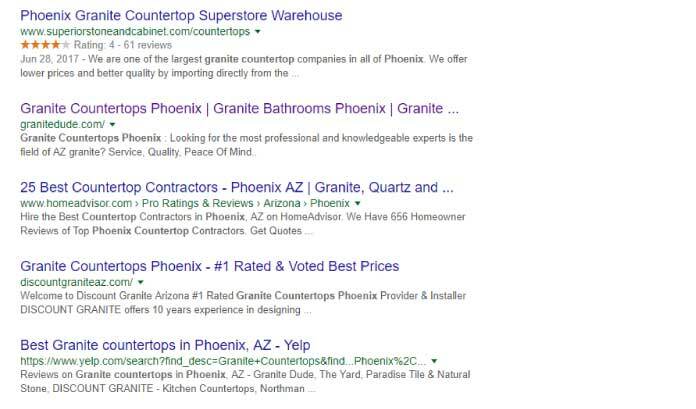 Granite Dude has been one of our Phoenix SEO customer’s for over two years. 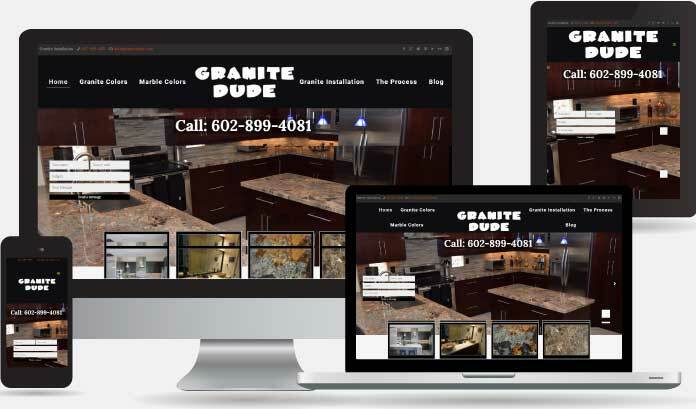 Granite Dude came to us with an existing website www.granitekitchensofaz.com which was not performing, our team rebuilt his website and launched our SEO Tools. He then went through a rebranding to the Granite Dude. Our team worked with him to create his new website www.granitedude.com. We manage both websites which rank on the first page for most Granite search terms. His websites now generate over 30% of his annual revenue. He has grown his business through the use of Search Engine Optimization and extremely hard work.